New research from San Francisco State University sheds light on the multilayered process of how a sperm and egg pass along information needed for successful reproduction, revealing that embryos receive parent-specific layers of information. The information that interprets the genetic code in a new embryo differs depending on whether it comes from the father or mother, researchers at San Francisco State University have found. The research, detailed in an article published in the journal PLOS Genetics, sheds light on the multilayered process of how a sperm and egg pass along information needed for successful reproduction. Though one layer is the DNA code that is transferred, the new study identifies information not encoded by DNA, a so-called “epigenetic” layer of information that helps the cell interpret the genetic code. Scientists have known these “epigenetic marks,” which influence the developmental plan of new embryos, are created by biologically modifying the proteins, called histones, that are responsible for tightly coiling DNA inside cells. But the new study shows how distinctive the marks from a sperm cell are from the information coming from an oocyte, or egg cell. 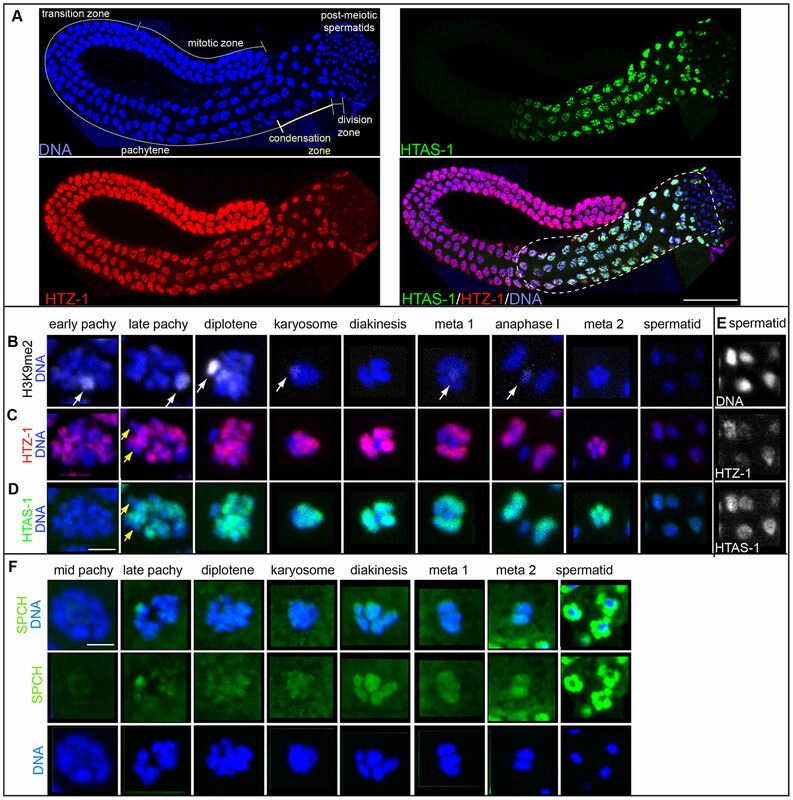 Chu and her colleagues at SF State and the Scripps Research Institute examined sperm and embryos of the C. elegans worm to identify which histone marks, which include histone variants and modifications, were unique to sperm and track them during the formation of new sperm cells and new embryos. They found that the number of histone modifications present within sperm is 2.4 times less than the number present within embryos, indicating a widespread erasure of epigenetic marks when new sperm cells are formed. But the erasure is incomplete: Researchers identified one histone variant and six histone modifications — and there are likely many more — that are retained in sperm and ultimately passed on to a new embryo, potentially helping it develop properly. The discovery adds another dimension for scientists to explore when studying the complex process of how genetic information is passed on from parents to children. Such research has major health implications, Chu added, as developmental and behavioral disorders that may not manifest themselves until years or even decades into an individual’s life can originate in the early stages of embryotic development. Further research will identify additional epigenetic marks that are unique to sperm, as well as study more closely the role and features of a specific histone variant, termed HTAS-1. “The specification and global reprogramming of histone epigenetic marks during gamete formation and early embryo development in C. elegans” by Mark Samson, Margaret M. Jow, Catherine C.L. Wong, Colin Fitzpatrick, Aaron Aslanian, Israel Saucedo, Rodrigo Estrada, Takashi Ito, Robin Park, John R. Yates III and Diana S. Chu was published in the Oct. 9 edition of PLOS Genetics. The research was funded through several grants from the National Science Foundation. Be the first to comment on "Researchers Show Embryos Receive Parent-Specific Layers of Information"